When you mention the word sapphire, most people immediately think of beautiful deep blue gemstone. However, what many don’t realize is that sapphires come in a large variety of colors. Sapphires are a gem quality variety of corundum. A pure sapphire is actually colorless and it is only through impurities that a sapphire gains its color. Blue is by far the most popular sapphire color. The blue color is usually caused by traces of titanium and iron. The most valuable blue sapphires have a slight violet or purple hue to them, this deepens the blue color. The blue sapphire is the birthstone for September. More information on blue sapphires. This is a rare variety of sapphire and it shows different colors under different light. They will be blue under natural sunlight and purple under incandescent light. 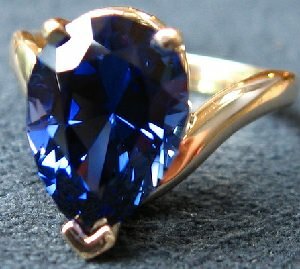 The more pronounced the color change, the more valuable the sapphire will be. Most gem-grade color-change sapphire is found in Tanzania, though it has been found in a number of other sapphire producing localities. Pink gemstones are quite popular in general and the pink sapphire is no exception. Trace amounts of chromium are the cause of the pink color and the higher the amount the deeper the pink color. When enough chromium is present and the color is saturated enough it will be called a ruby, rather than a pink sapphire. Because sapphires have a high durability they can be worn daily, which makes them a great option for fancy engagement rings. Especially because the other pink gemstone with a high durability, the pink diamond, is extremely expensive. Fancy pink diamonds will regularly sell for more than $50,000 per carat. The pink sapphire comes in at a more modest $1,000 per carat, still nothing to scoff at, but still cheaper than the ever popular white diamond. Most pink sapphires found are fairly small and will have at least some inclusions. Still, eye clean and even loupe clean pink sapphires can be readily found on the market. However, large, natural pink sapphires that are at least eye clean are extremely rare and prices do reflect this. Just take a look at some extremely valuable examples here! A green color in a sapphire is caused by iron impurities alone. Green sapphires are usually the cheapest sapphire variety. Green simply isn’t as popular and pure green sapphires are exceedingly rare. So most green sapphires on the market will have at least some blue or yellow zoning, which dramatically decreases their value. A heat treated blue green sapphire can be bought for as little as $100 per carat. A combination of iron and chromium is what causes a yellow or orange color in sapphires. The yellow sapphire is far cheaper than the pink and blue varieties, often selling for $100-300 per carat. However, these have almost always been heat treated and/or lattice infused. Yellow sapphires can be found in large sizes, 5+ carats is no exception. 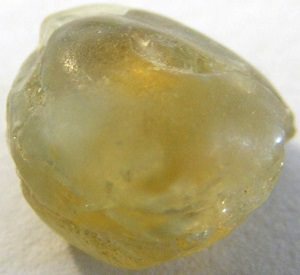 However, large high quality natural yellow sapphires will still sell for thousands of dollars per carat. While a purple or violet sapphire may resemble the color of a pink sapphire, the cause of the color is not the same. The purple color is caused by vanadium, rather than chromium. 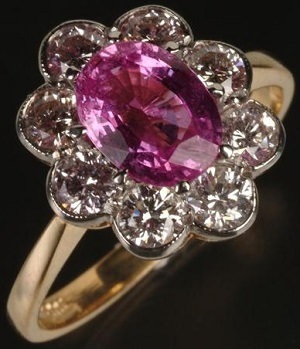 A lot of violet or purple sapphires will be sold as pink sapphires, as this color is more popular. 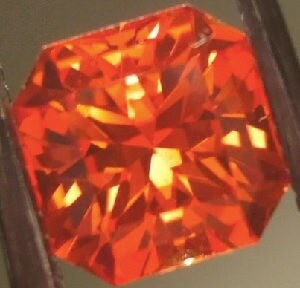 The padparascha sapphire is the most expensive variety. It features a combination of two hues in a single stone, pink and orange. It has always been associated with Sri Lanka, but they have also been found in Tanzania, Vietnam and Madagascar, though always in small quantities. Prices for a heated padparascha sapphire start at $1,000 per carat. Prices of $10,000+ per carat for a large natural padparascha is no exception. The white sapphire or colorless sapphire is a pure sapphire and has no impurities. It is mainly used as an alternative for diamonds as it far cheaper, but still has a high durability. It also can be a natural product, while other diamond alternatives like moissanite and CZ are created in a lab. A high quality heated white sapphire of around 1 carat will sell for around $200. The same stone without heat treatment will close in on $1,000, certainly expensive, but still far cheaper than a diamond of the same quality. As you can see there is a large variety of sapphire colors and prices. Almost regardless of your budget you can find a sapphire to your liking and wear it every single day, if you want to of course.